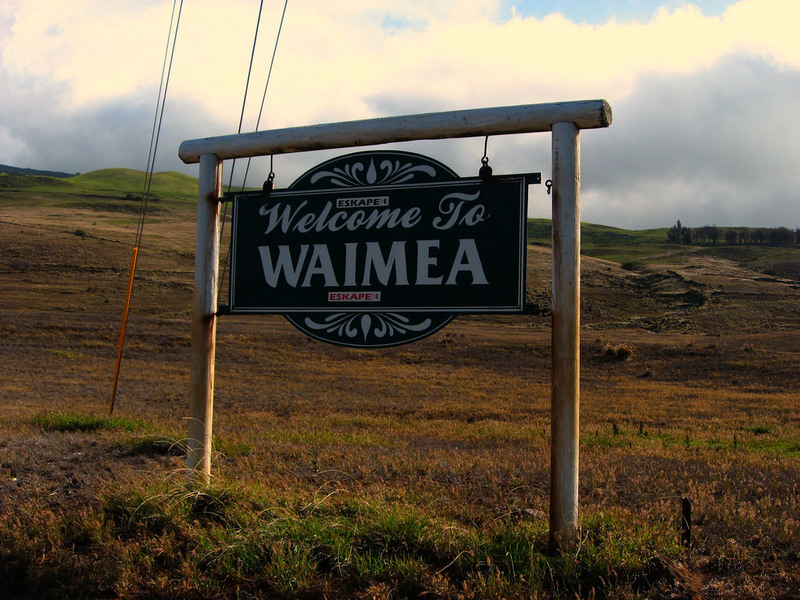 When my family and I lived in Waikoloa on the Big Island for a year, one of my favorite off-site trips was to Waimea (also called Kameula) in the upcountry. When you drive into the town, you immediately feel as if you’re in a different state. Heck, you even feel like you’re in a different era! Waimea on the Big Island is Hawaii’s tribute to the time of the paniolos (Hawaiian cowboys), and the small town has done a fantastic job keeping the area rural, charming, and rustic (even the STOP signs read “WHOA” instead). So, if you’ve ever dreamed of being a paniolo for a day, you have your chance. But, it means a visit to Waimea on the Big Island. Hunting at Parker Ranch: Once a way to put food on the table (or in the imu), hunting on Parker Ranch is still an exciting sport that offers year-round opportunities in a wide range of scenic areas, from sea level to an 8,000-foot elevation. Parker Ranch’s program has a 98% success rate, and is game-managed for trophy quality. Big game species include Spanish and Hawaiian Ibex goats, and the Polynesian boar — which can weigh up to 150 lbs with 4-6” tusks. In addition, 13 species of upland game birds are plentiful, and with specially-trained dogs, hunters can go for wild turkeys, blue and ringneck pheasant, francolin, chukar partridge, quail, doves, Kalij, and more — sometimes all within in a single day. 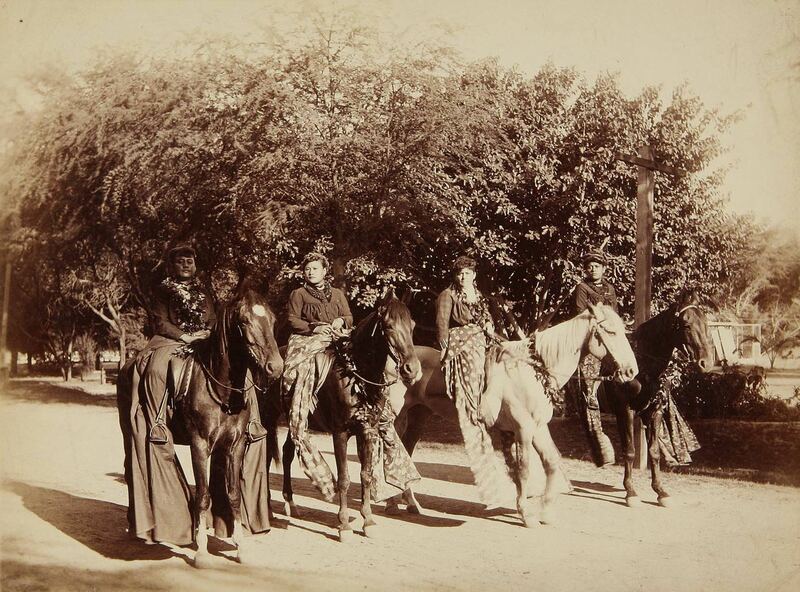 Hawaii's history with cowboys, or "paniolo," dates as far back as the 1880's. Kahua Ranch: Kahua Ranch is located on the western slope of the Kohala Mountains, 3000 feet above sea level. This 8,500 acres of private ranch land provides a variety of landscapes and extraordinary beauty. There, you’ll find grazing cattle, sheep and horses, plus vistas of ocean and coastal shoreline. Try ATV riding, horseback riding, or an Evening at the Ranch BBQ Dinner, which features Grilled steak & chicken, garlic mashed potatoes, corn, fresh greens, ranch style baked beans, fresh Hawaiian bread, and to finish it all Macadamia Nut Pie for dessert. While dining and watching the sun set into the Pacific enjoy Live Music and kick up your heels for Line Dancing. After dinner you will have a chance to participate in Paniolo Activities including: Learning how to rope (or show us your skills) or pitch some horse-shoes. Then, sing-along while roasting marshmallows for s’mores by the campfire and enjoy the night sky by peering through a Celestron Telescope for stargazing. Visit a Farmers Market: If you can’t find what you need at one of Waimea’s four farmers markets, it probably doesn’t exist! The Waimea Homestead farmers market is open every Saturday between 7 a.m. and noon. You can find them on the Waimea Middle and Waimea Elementary School Playground. They sell produce, eggs, preserves, flowers, meats, fresh bread, plants, goat cheese, massages, and, best of all, breakfast prepared at the spot. The Waimea Town farmers market is organized every Saturday between 8 a.m. and noon in front of the Parker School in the center of Waimea. The vendor’s stalls surround a grassy area with picnic tables, where you can sit down and enjoy your just purchased fresh food. The Waimea Town farmers market is your best choice of for freshly prepared (hot) food. You can i.e. buy fresh bread from a wood-fired stone oven, and food prepared by top chefs. One of these chefs was sous chef at Mauna Kea for 12 years, another is the current chef at Merriman’s in Waimea). The Waimea mid-week market at Pukalani stables is held every Wednesday between 9:00 and 3:00 pm. The address of the Pukalani Stables is 67-139 Pukilani Road. You can find veggies, fruits, herbs, eggs, meat, orchids and coffee at this market, as well as some crafts — jewelry, handmade cards, homemade aprons and chiropractic and massage specialists. The Kamuela Farmers Market at Pukalani stables is at the same location as the Waimea mid-week market, but at a different day. You can find this market at the Parker ranch pukalani stables. Market hours are every Saturday between 7:00 and noon. The address of the Pukalani Stables is 67-139 Pukalani Road. You can find fresh locally grown produce, trees, plants, cut flowers, a variety of prepared foods, coffee, fresh popcorn, hand crafted wood items, gluten free baked goods, hand crafted soaps and scents, and local dried fruit just to name a few. Anna Ranch Tours: Step into history and hear the incredible story of one of Hawaii’s most beloved community leaders. A pau queen, award winning jockey, and a hard working cowgirl, Anna’s story will leave you amazed and inspired. The historic ranch house has been restored, and the antiques and furnishings from generations past offer a glimpse back in time. The historic ranch house holds a treasure trove of historical items, including a significant archive collection of records, photographs, artifacts and household items that offer the visitor an historical account of the Lindsey Family. Visitors may tour the spectacular fourteen room historic ranch house on a guided tour and learn about Hawaii’s rich ranching history and how five generations of the Lindsey Family became premier contributors to the legacy of ranching in Hawaii. Waimea on the Big Island is home to Parker Ranch and is one of Hawaii's largest paniolo communities. Waimea on the Big Island is a fantastic day trip that will lead into evening before you even know it! Just about 20 minutes from nearby hotels, such as the Hilton Waikoloa Village, the Waikoloa Beach Marriott, and the Hapuna Beach Prince Hotel, Waimea is a trip back in time to the old paniolo days in Hawaii. So, grab your cowboy hat, your boots, and your adventurous spirit, and head out to paniolo country!